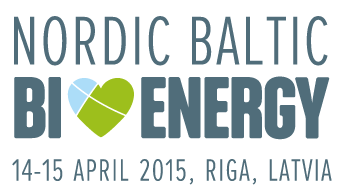 The Nordic Baltic Bioenergy Conference in Riga is this year’s largest regional conference in the bioenergy sector. At the Nordic Baltic Bioenergy Conference, we will share experiences and present state-of-the-art technologies, e.g. in the fields of biobased combined heat and power, pellet production and use, and biofuels production from cellulosic feedstocks. We will discuss market development and policy instruments. But above all, we will meet, talk and do business.